Our new generation is migrating towards Smartphones. Now a days almost each and every user is using Smartphones. You might be aware about one thing that Smartphones comes with pre loaded file manager to access files stored in your internal memory and SD card. But these file managers are not strong enough to perform several tasks, you can easily view, copy and paste files but I think that is not enough at present. You need some more functions and also some stylish looking. So to solve this problem here i am writing about 5 best rated file managers to access files easily and also they have good looking interface. It's the best file manager for rooted android Smartphone. According to developer Root Explorer is the ultimate file manager for root users. You can access the whole of android's file system (including the elusive data folder!). Some of its features are multiple tabs, Google Drive, Box, Dropbox and network (SMB) support, SQLite database viewer, Text Editor, create and extract zip or tar/gzip files, extract rar archives, multi-select, execute scripts, search, remount, permissions, bookmarks, send files (via email, bluetooth etc), image thumbnails, APK binary XML viewer, change file owner/group, create symbolic link, "Open With" facility, MD5, create shortcuts. It's a paid app but if your Smartphone is rooted then you should just go for it, don't care about money. One of the most popular and trusted file explorer it is. ES File Explorer has around 300 million global downloads. It's one of the leading file managers. It was rated as one of best resource management tools on Android market. According to developer ES File Explorer is a free, full-featured file and application manager. It provides access to pictures, music, video, documents, and other files on both your Android devices and your computers.ES File Explorer allows Android users, no matter where they are, to manage their resources freely. You can access all of your files from your mobile device and share them with others. This app makes it easy to stay connected over 3G, 4G, EDGE, or Wi-Fi to share with friends, upload photos, and watch videos.ES File Explorer currently supports 30+ languages. According to developer Solid Explorer is the nicest looking file manager with two independent panels which brings to you a new file browsing experience. It provides to you a wide support for cloud storage including Dropbox, Box, Google Drive and One Drive. This file manager can connect to your Windows PC and many remote servers working with FTP, SFTP and WebDav. You will also appreciate ability to create and extract most commonly used archive formats. Two independent panels allows for seamless file transfer with drag and drop. Just hold your finger on a file and drag it to other panel. In this way you can easily transfer files between various locations including PC shares, cloud and root folders. It features a root explorer with ability to change system level file properties. You don't need to remember about mounting file systems as read/write. Solid Explorer will do it for you automatically. Solid Explorer is also a good tool for viewing your media. This file manager can stream music and videos from your PC or cloud without a need to download it. You can even cast the stream to Chromecast with this file explorer you will also receive a very elegant UI look with many customization options, such as dynamic list resizing with pinch gesture or custom color schemes, which will even change the file icon colors. 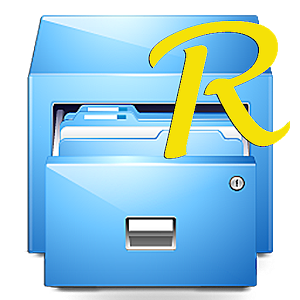 Root, FTP, SMB, Sqlite, Picasa, Zip, Rar, 7zip explorer. Disk Map - see which files consume most space on your disk. Cloud storage access: Google Drive™, Dropbox, Box.net, Mega.co.nz, OneDrive, Webdav, Yandex.disk, MediaFire, SugarSync, Dump Truck, Copy.com. SSH File Transfer (SFTP) and SSH Shell . Manage files from a PC web browser. Built-in viewers for images, video, audio, text. Fast Image viewer with zoom and slide to previous/next images. Thumbnails for images and video as well as for various file types (depending on associated application). Multi-selection - always available, yet not disturbing. View APK files as ZIP. Share - send files by Bluetooth, email, or whatever the device supports, from any location. Configurable buttons and key shortcuts. Seamless work with Zip (as if it was normal folder). Some of its features are free while some are paid also.